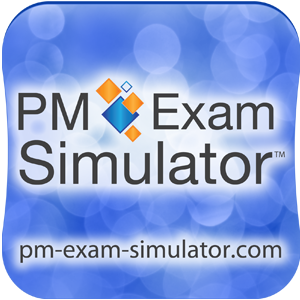 The PM Exam Simulator gives you a 90-day "insider’s view" of the actual CAPM Exam. Practice on 650 highly realistic CAPM Exam sample questions and get detailed explanations that explain why your answer was / was not correct. Updated to the most current CAPM Exam specifications. Note: Using The PM Exam Simulator is NO GUARANTEE that you will pass The CAPM Exam. Your 90-day access to The PM Exam Simulator does not start immediately. Instead, the simulator "waits" for you to log in and start your first exam/quiz. Now the simulator asks "Do you want to activate your account?" If you answer "Yes, activate", then your 90-day access begins. Please activate within 90 days of purchase. Activation cannot be reversed.